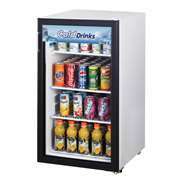 A glass door countertop merchandising refrigerator is the solution to your cold food storage and display needs! 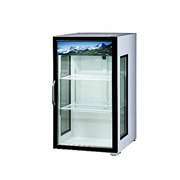 Features like LED lighting helps to illuminate your items so they�re easily identifiable, and thermal insulated glass doors help cut down on energy since they help keep cold air in a glass door refrigerator. 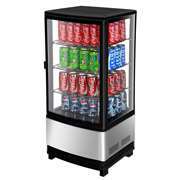 With a variety of styles and sizes, the right glass door cooler is just a click away!With high quality and durable models from Turbo Air, we make it easy to find the perfect Countertop Refrigerators for your business. Add the Turbo Air items to cart, you will find a special price.